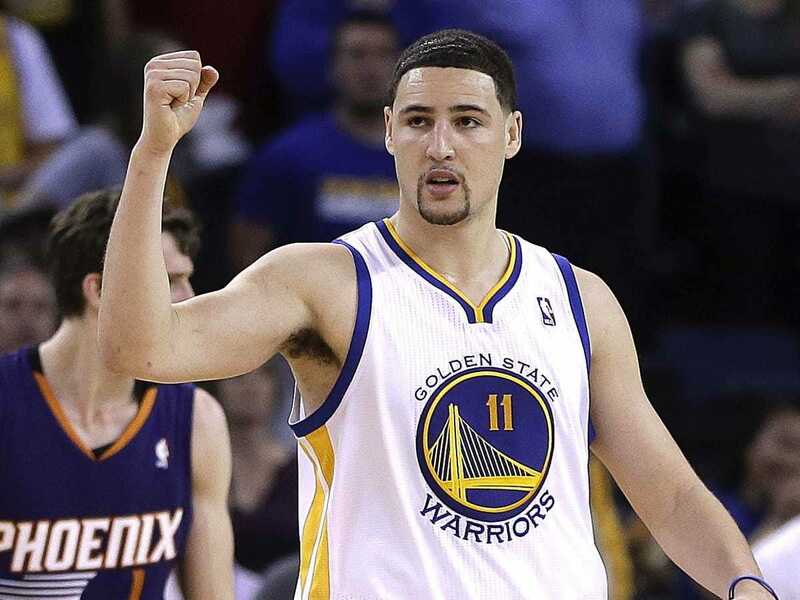 The Golden State Warriors gave Klay Thompson a four-year, $US70-million contract extension last week, and Thompson has been on fire ever since. It was widely assumed that the extension was a maximum contract for Thompson because the numbers add up to such. However, the Warriors very cleverly arranged an extension for Thompson without giving him a “true max,” according to Grantland’s Zach Lowe. “The league has projected the 2015-16 cap at about $US66.5 million, and under that cap number, a Year 1 maximum salary for Thompson would come in at about $US15.5 million. But if the cap shot up higher than that, Thompson’s salary under a true max contract would shoot up with it. The cap is set to explode to $US90 million in the 2016-17 season when the new TV deal kicks in. There’s also rumblings that the league and the players’ union could agree to a “smoothing” proposal where part of the cap jump comes a year early, in the 2015-16 season. If the cap unexpected jumped in 2015-16 and the Warriors had given Thompson a “true max,” it would have cost them significantly more money. According to Lowe, the Thompson deal means Warriors would have room to keep their core together and still have a shot at another max player like Kevin Durant, who’s conveniently a free agent in 2016. As of now, the Warriors have about $US56 million in guaranteed money for the summer of 2016 (which obviously doesn’t factor in any signings or draft picks in between now and then). If the salary cap is in the $US90 million range, the Warriors will have over $US30 million in cap space. It’s silly to think about a player’s free agency two years before it hits, but a Stephen Curry-Klay Thompson-Kevin Durant trio is enough to make fans drool.